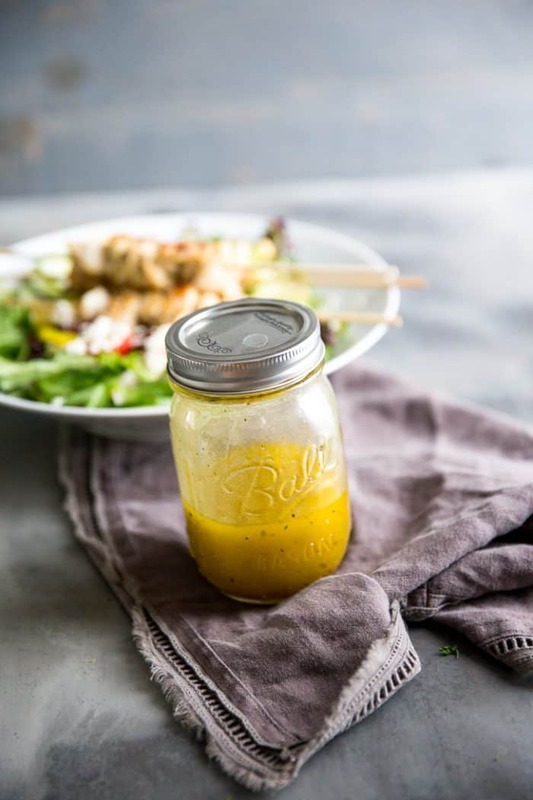 Greek dressing is a jack of all trades! 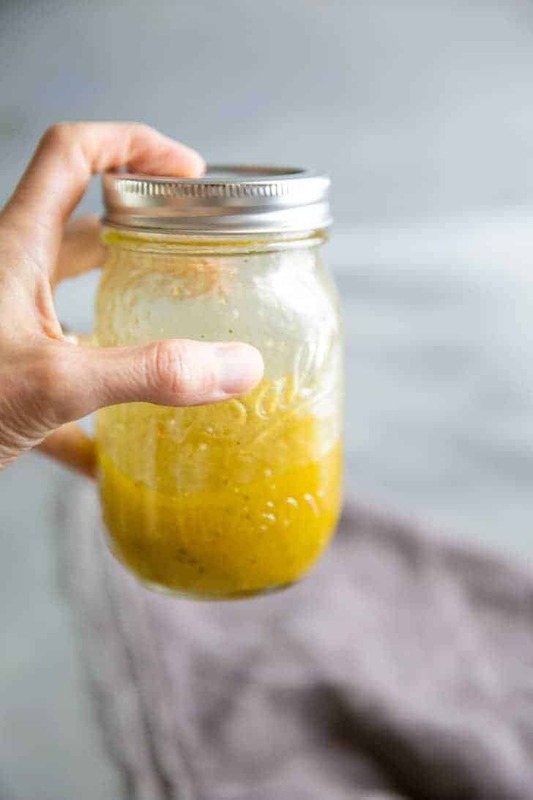 This is the only dressing you need! I am a huge sucker for a really good salad. I eat greens almost every day and when I go out to eat, 9 times out of 10, I order a salad. There is something about greens and vegetables that are so satisfying to me and I want to try as many combinations as possible! A salad, however, is only as good as it’s dressing. You could make a salad with bitter greens, onions, brussels sprouts and any other pungent ingredient you can find and if you have the right dressing, it transforms that whole bowl into something delicious. 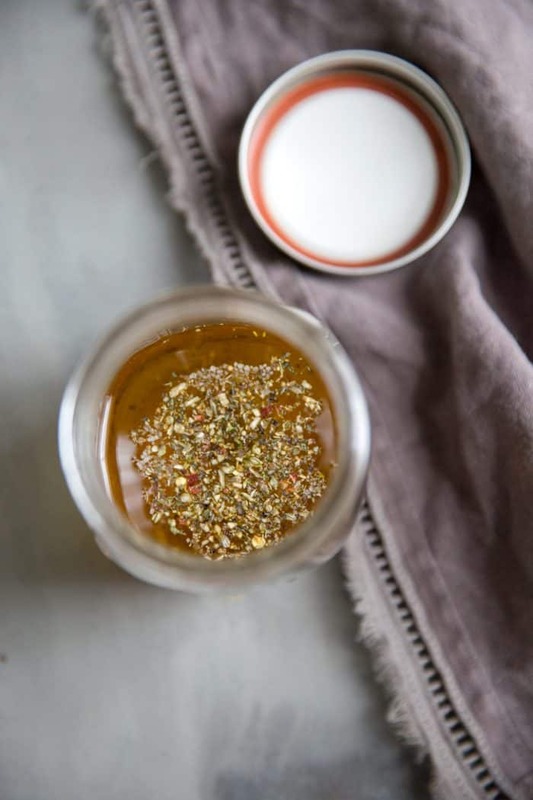 This Greek dressing is my kitchen secret weapon. You can use this on almost anything! I made a variation of the dressing for this Quinoa Tabbouleh Salad, used it for this Greek Style Red Potato Salad, and this Chicken Souvlaki Pasta Salad and it is the inspiration behind this Olive Oil Bread Dip! 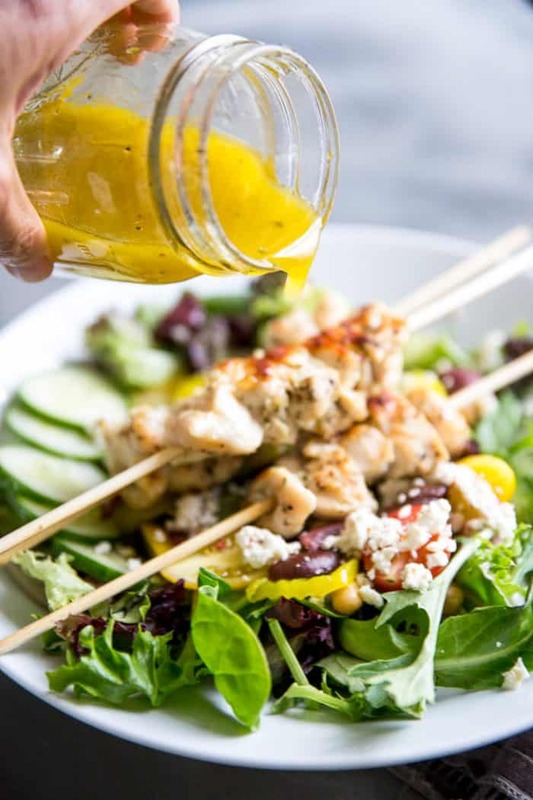 Greek dressing is a fantastic marinade, I use it for veggies, fish (especially salmon), pork and chicken (on kabobs or whole), and shrimp. You could drizzle it over tomatoes, cucumbers, and avocado as a salad, or even over eggs. This Greek dressing really is multipurpose! Extra virgin olive oil, oregano, basil, garlic, and salt are all staples in this dressing. 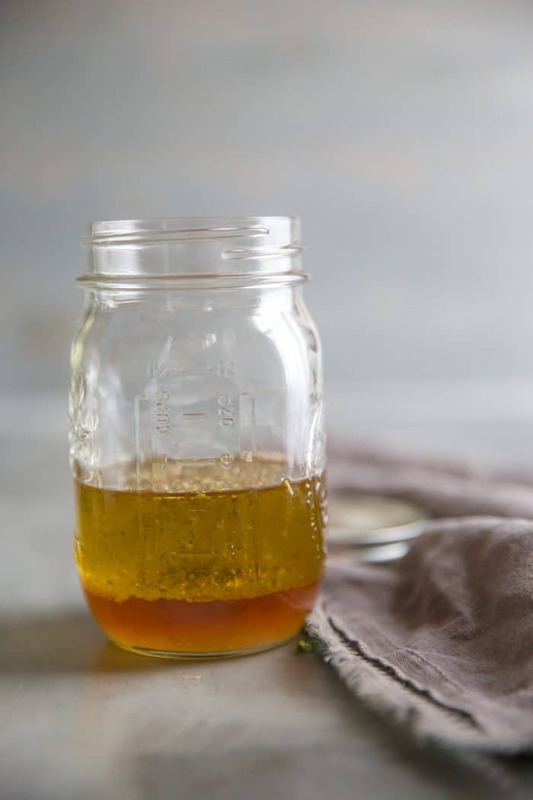 I typically use distilled white vinegar, but you could use any vinegar you have in your pantry. 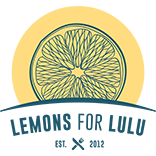 Lemon juice is a great alternative to vinegar if you want a crisp, fresh taste that only lemons can give. Fresh herbs can quickly jazz up this dressing. Rosemary, parsley, thyme, and oregano would be perfect! 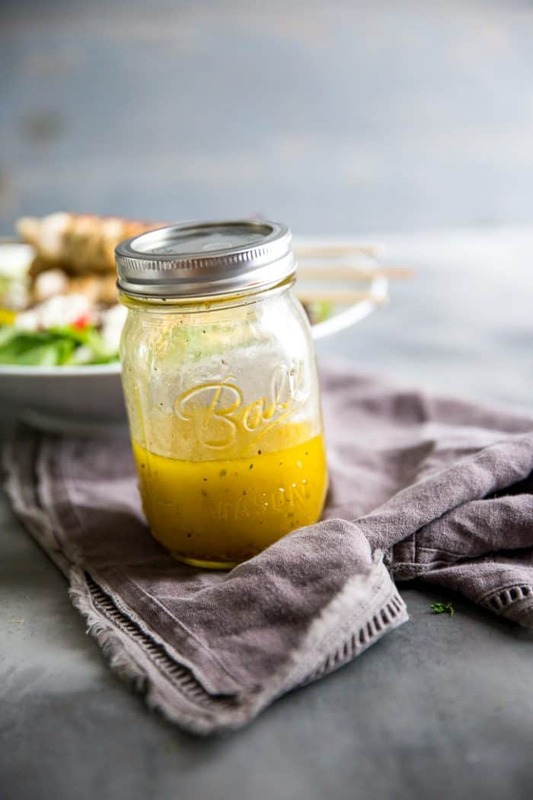 You could also add crumbled feta or a grated hard cheese to this dressing to make a cheesy vinaigrette. 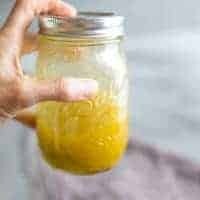 Combine all the dressing ingredients in a jar, cover and shake until combined. Is it possible to include a pic of the beautiful recipes prepared in the printer friendly layouts of the your wonderful recipes? Thank you for reaching out to me, I assumed people would not want the photos. I believe they’ll be added from now on.